On Monday, Gemfields unveiled “Inkalamu,” a 5,655-carat Zambian emerald crystal with remarkable clarity and a perfectly balanced golden green hue. The carat weight is equivalent to 1.1 kg or 2.5 lbs. 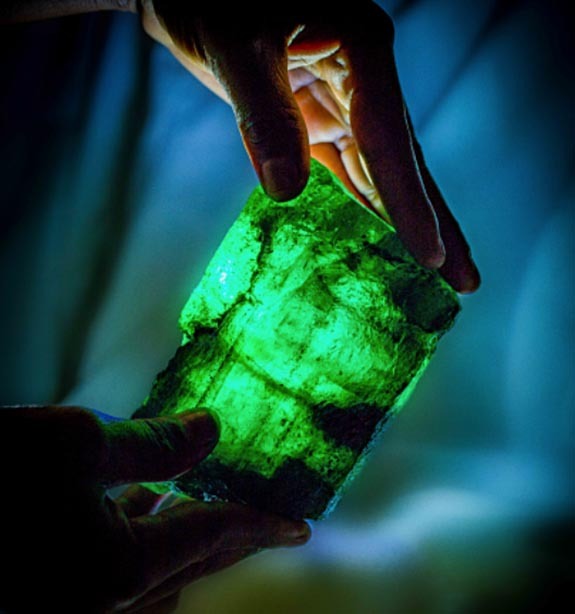 Inkalamu, which means the “Lion Emerald” in the regional Bemba language, was discovered at the Kagem mine on October 2 by geologist Debapriya Rakshit and veteran emerald miner Richard Kapeta. It will be offered for sale at Gemfields’ next auction, which will take place in Singapore in November. Forty-five approved auction partners will be vying for the extraordinary find. Gemfields believes that Inkalamu will take its place among the world’s most exceptional gemstones of all time, and if the crystal is divided into smaller stones, the “The Pride of Inkalamu,” so to speak, will continue the legacy for generations to come. 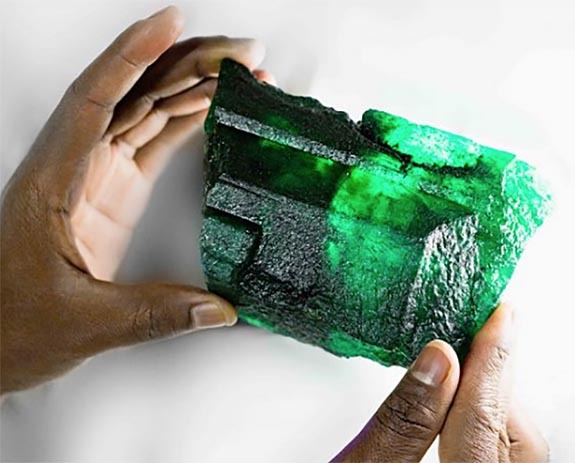 Kagem, the world’s largest emerald mine, is 75% owned by Gemfields and 25% owned by the Government of the Republic of Zambia.